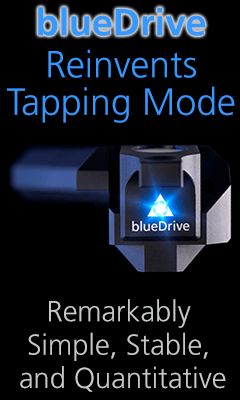 The Cypher VRS AFM is the first and only full-featured video-rate AFM. 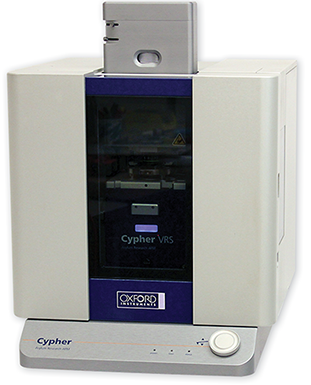 Instead of capturing just AFM images, the Cypher VRS captures AFM movies. 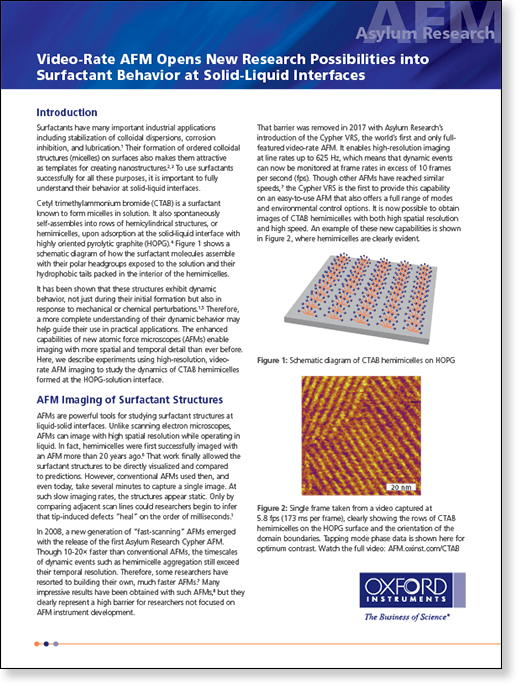 Finally, researchers can measure nanoscale dynamic processes from these AFM videos with all of the resolution, versatility, and ease of use that are the hallmarks of an Asylum Research Cypher AFM. Growth of fibrils exhibiting the D-band structure by attachment of collagen monomers as well as merging of small nucleated collagen aggregates. What could you do with a Cypher VRS? In this experiment we captured the dynamics of hemicylindrical micelles, formed in a 2 mM CTAB solution, migrating across the surface of HOPG. The micelles are normally quite stable so we perfused in a small amount of isopropyl alcohol to induce dynamics. For these movies we acquired images (200×200 pixels) at 2.4 frames per second. In order to visualize the dynamics more clearly the playback rate is 6× faster than the acquisition rate.